When heading cross-country in a used Kia Sportage, the smooth ride is as comforting as the plush, supportive seats, with head and leg room to spare. This compact crossover has only gotten better over the years. Delivering expansive passenger space and upscale comfort, the Sportage pleases modern commuters and travelling families alike. What should you know before you hit the used lot? Check out our buying guide to find out. Comfort: Up front, both driver and passenger can settle into plush, supportive seats designed for long-term comfort. And, with an increase in leg room, the modern Sportage cabin is more family-friendly than ever. Technology & Convenience: The UVO infotainment system is certainly one of the best. It includes Apple CarPlay and Android Auto technology, which lets you control your phone’s Maps and Messages apps right on your central touchscreen. You can even use your phone’s voice controls to have the system read your texts to you or even reroute the Maps app and minimizing on-road distractions. Safety: The UVO emergency telematics system includes features like on-demand roadside assistance and automatic collision notification to bring help when you need it most. You’ll also find high-end driver aids, like forward collision mitigation with emergency braking, to help you avoid danger. Performance: This is the sportiest model yet, with sharp steering and athletic handling. In a fourth-generation Sportage, you can take on anything the road throws at you, from tight corners to steep, zigzagging tracks. 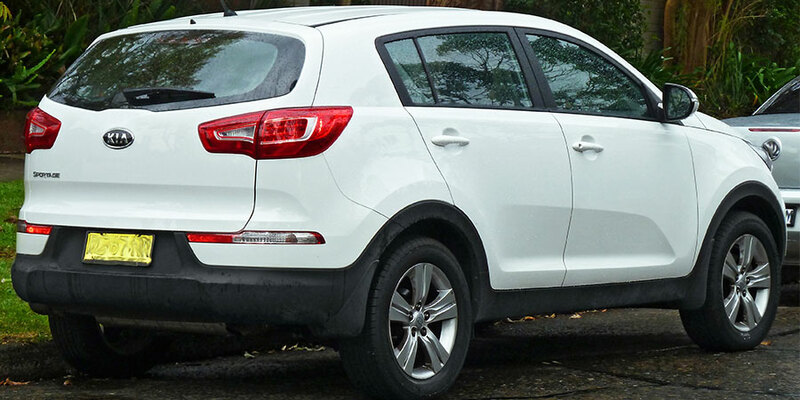 But, more than that, the modern Sportage offers a smooth, quiet ride for a meditative trip to work. Comfort: These used models offer high-end luxury, including leather upholstery, and plenty of comfort in their well-contoured seats. Technology & Convenience: Bluetooth connectivity gives you the power to link devices to the central system and stream endless audio options. In 2012, Kia updated the infotainment system to include voice controls, making it easier to keep your focus on the road ahead. Safety: This Kia Sportage makes safety a priority. This crossover’s rearview camera makes it easy to spot any obstacles behind you to avoid a collision. Some models also include navigation, so you can find the quickest way home. Kia’s handy UVO telematics system solves problems with features like on-demand roadside assistance. Performance: These compact crossovers deliver solid performance, steady acceleration, and sporty handling. Some even include all-wheel drive for extra traction to minimize slippage wet or icy pavement. Used Kia Sportage drivers have great things to say about this crossover’s responsive handling. If you’re looking for a dynamic performance, the Sportage delivers. It gives you the power to smoothly power around tight corners like a sedan more than an SUV. In addition to the fun aspects of owning a Sportage, the well-stocked cabin provides endless comfort and connectivity options. In 2012, Kia tweaked the Sportage powertrain for more responsive handling, making you feel more secure around curves. That same year, the UVO voice activation system was introduced, giving drivers the power to access infotainment options with both eyes on the road. 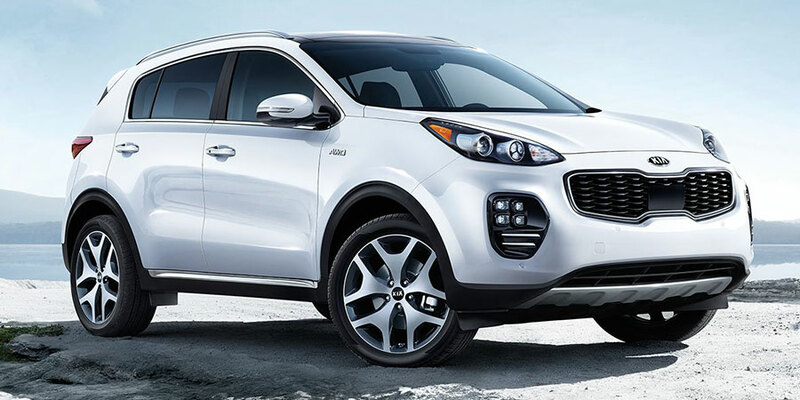 In 2014, all Sportage models were updated to deliver an even sportier performance. There were a lot of tech overhauls in the 2016 model year, bringing the touchscreen display and rearview camera up to date. That same year, leather upholstery became standard for both the mid-grade EX and upscale SX models, increasing comfort. Over the years, Kia has made exponential improvements to the Sportage. Today, it is a major competitor in the mid-size compact crossover segment, delivering upscale comfort and a smooth, quiet ride. The first two generations, however, are markedly different from the modern third and fourth generations. These early models – dating back to 2010 and earlier – are known for being poorly constructed and should generally be avoided.